Where to Buy: Townshend’s Tea Co.
A strong China black tea with natural fruit flavors and scents. The pomegranate delivers a tart but fresh taste while the pear contributes a sweet, light flavor. One of our most popular teas, hot and iced. I am very surprised by the flavor of this tea! Yes, I am pleasantly surprised, indeed. First of all, I didn’t expect to taste the pear in this blend. Pear being such a subtle fruit, I figured surely the flavor would get lost in the flavor of black tea. And if, by some chance, the flavor survived the black tea, I was certain that the pomegranate would dominate the pear. But it doesn’t. There is such a lovely balance of flavors in this cup! The pear is succulent and sweet – and it tastes like I’ve just bitten into a fresh, ripe pear: smooth and delicious. And the pomegranate is tangy, but that tartness does not overwhelm the sweet flavor of the pear – instead it cuts through some of the sweetness just enough to make its presence known, and then there is a little tart-y “twinge” that lingers on the palate in the finish, almost as if I had just popped a plump pomegranate aril with my tongue and let the juice wash over my palate. 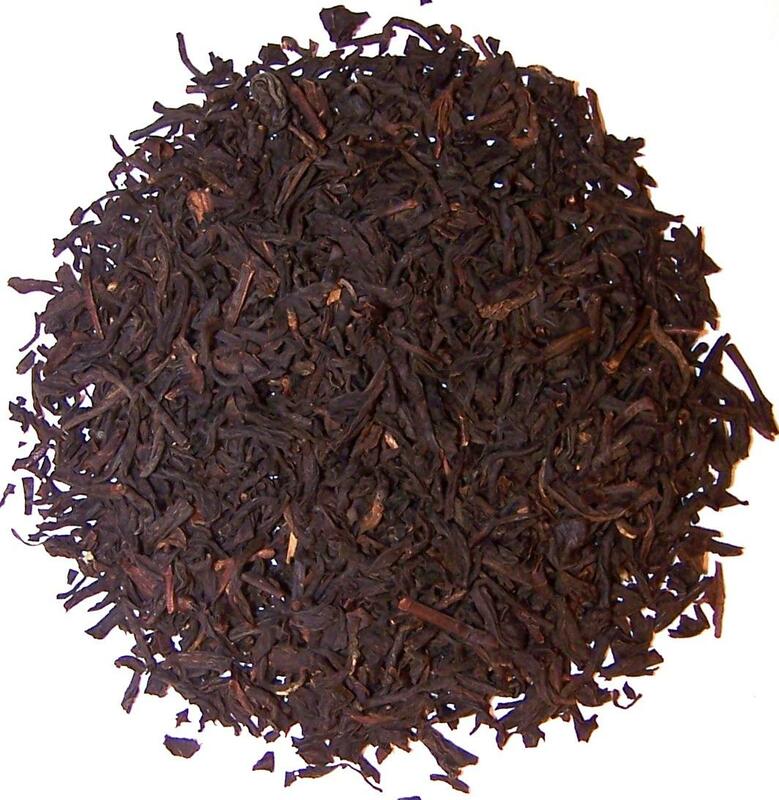 The black tea is brisk yet not overly aggressive in this blend. It has a place and a presence in this tea, but, it doesn’t overwhelm the flavor of the delicate pear or the tart pomegranate. Each flavor is in perfect harmony in this delightful, delicious blend. Black Tea Pear Pomegranate Review Tea Townshend's Tea Co.